An integral part of recognising the moral personhood of all animals is providing victims of domestication, who are each and every one of them a moral person, with love, protection and care for the duration of their lives, or otherwise directly supporting those victims by helping their caregivers to pay for food, shelter, veterinary care, transportation costs, adoption fees, etc. NZ Vegan urges any advocate who is compelled to help animals NOW not to be fooled by deceitful “welfare” campaigns that falsely promise to “help animals now” but in fact do not at all, and instead to put that desire, energy, time and resources into adoption, fostering and sanctuary work*, as well as, of course, promoting veganism. *TNR (Trap-Neuter-Release) work is also extremely important in that it prevents further victims of domestication from being brought into existence; and by acting as guardians for those who are re-released, you can be sure to be directly helping individuals in desperate need. Sanctuaries need to feed, shelter and care for their residents for the duration of their lives. Shelters also need to provide food, shelter and veterinary care, as well as have resources that enable fostering and adoption of the abandoned animals in order to find them safe homes. As we know, unless the shelter in question is a no-kill shelter, if these individuals are not quickly adopted or fostered they are put to death, hence the word “shelter” is a misnomer. These individuals are animals that can truly be helped NOW—not to make their cages supposedly bigger, or the torture they endure supposedly “reduced”, or the slaughter of them more “humane”—but to actually save their lives and provide a forever home. There are millions of them, lives that can be saved, immediately and forever. Sadly, the position of many sanctuaries, even those run by vegans, is highly problematic in that they publicly support detrimental welfare campaigns and veganism is totally sidelined, which is astonishing given that they see first hand on a daily basis the victims of all exploitation—including the so called “freedom” farms and “free range” facilities the very welfare campaigns they support are touting—and the terrible suffering and trauma of the victims. Most “shelters” are run by people who are themselves not vegan, and the majority of the individuals that end up in those facilities are put to death. These rescue organisations hold barbecues in which they serve the corpses of other animals to raise money and celebrate their organisations. Of course, fundraisers are worthwhile and can be used to raise money for sanctuaries and abandoned animals, and vegan barbecues are fantastic and delicious! Around the world the lack of vegan advocacy by sanctuaries is still basically the status quo, but for example Peaceful Prairie Sanctuary in Colorado promote a very strong vegan message. They don’t promote any welfare campaigns, which differentiates them. Most if not all other sanctuaries, including those in New Zealand, heavily promote welfare campaigns and barely mention veganism, or if they do so it is just perhaps from one of the recipes on a “Vegetarian Food” page, or it is presented as just one of many ways to “reduce suffering”, generally mixed in with a lot of very confusing and detrimental welfare advocacy. As we know, the only way to truly do anything at all to combat this holocaust of suffering is for veganism to proliferate. Anything less than veganism is torture, exploitation and slaughter. That is the bottom line. Unfortunate as the advertising engaged in by their caregivers may be, the individuals living in those sanctuaries and other facilities need help, especially those on death row in “kill shelters”, and therefore we have a moral obligation to help as many as we can. If one cannot personally provide sanctuary to an individual or individuals in need, then donating money that goes directly to food, shelter, veterinary care, fostering or adoption is a guaranteed way to help animals NOW. In doing so, we must never fail to be persistent in our efforts to educate those involved in these life-saving organisations—the vegans included—about the necessity of veganism as the only way to truly help animals and prevent the terrible injustices that are occurring, and of unequivocal vegan education as the means to achieve this. If we do not, the many billions of victims, of whom these rescuers see just a tiny smidgen, will continue year after year to live lives of unspeakable horror until their inevitable slaughter. Only a very small percentage find life-long sanctuary, but as they themselves number in the millions we must help as many as we can, while engaging in abolitionist vegan education in order to take steps toward eradicating this unnecessary and monstrously unjust state of affairs from our planet once and for all. Disclaimer – The following websites are New Zealand sanctuaries and other organisations that provide refuge and care to victims of exploitation. To the extent that any of these websites promote anything other than the direct care and protection of the residents and victims being housed there, NZ Vegan does not endorse or agree with everything on these websites. 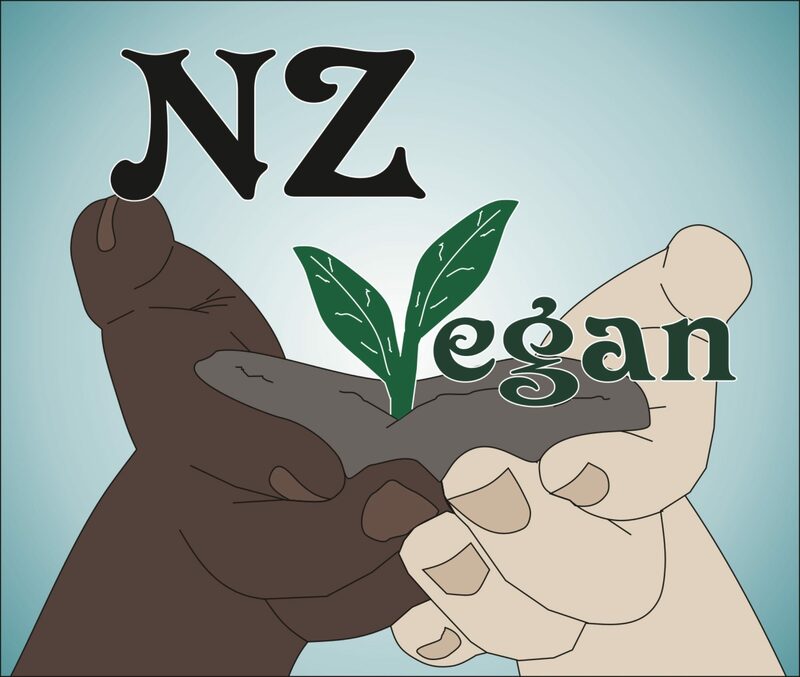 NZ Vegan does not necessarily endorse any links that are provided on these sites, and in fact objects to many of them. The following is not an exhaustive list by any means. NZ Vegan urges everyone who wants to help animals NOW to abandon useless “welfare” campaigning, and to instead put all that energy, time and resources into supporting and/or engaging in sanctuary, adoption and fostering of the victims of exploitation, but first and foremost to GO VEGAN!